Available in Nutmeg and Kaffee TropiKane® Basket Weave. Striped and patterned fabrics are not recommended on modular pieces because they may not align. 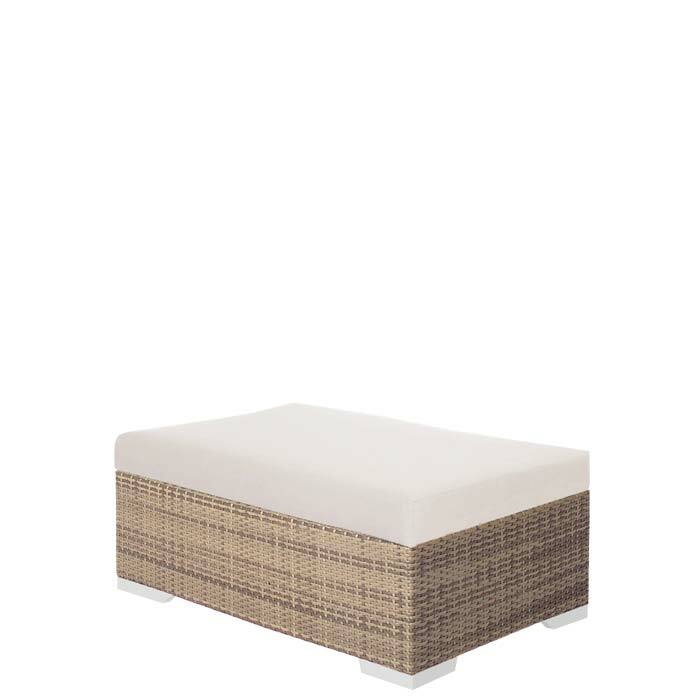 The Arzo Rectangular Ottoman features simple lines and a geometric shape for a versatile style for any outdoor space. The Arzo Rectangular Ottoman has a prolific structure and practical footprint. For a transitional or contemporary space, adaptive Arzo is the right choice. The Arzo Rectangular Ottoman demonstrates the luxurious volume of the TropiKane® Basket Weave and technologically advanced RELAXplus® Cushions for a truly comfortable footrest.